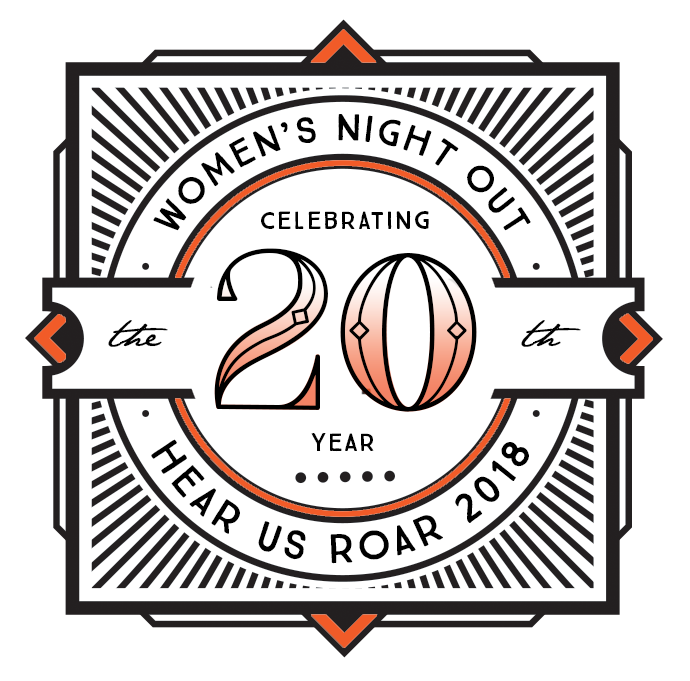 HomeEvent20th Annual Women’s Night Out: Hear Us Roar! 20th Annual Women’s Night Out: Hear Us Roar! Join other local women for an evening of entertainment from a wide array of local talent hosted by Mistress of Ceremonies Danielle Norwood paired up with shopping, fun prizes, great food, wine, and beer tastings. Enjoy a roaring good time with your friends all while supporting the mission and programs of YWCA Northeast Kansas. Keep checking back as we update featured merchants and food vendors! Featured Merchants: Radiance Medical Spa, Just Jewelry, Prairie Glass Studio, Peach Athleisure, Tasteful Olive, and more! Featured Food Vendors: Aboud’s, Cashmere Popcorn, Cookies by Gayla, KB’s Smokehouse, On the Border, Burger Stand, and more! Attendance Options: $800 VIP table – This is a full service VIP table: includes premium seating (10 guests) and guest server for your table, along with a complimentary gift bag and specialty wine for the table. $60 Reserved Table Seating – Enjoy reserved seating at a table in the middle of all of the fun action in the lobby. $50 General Admission Ticket – Enjoy an evening fancy free with the ability to mingle freely in the lobby and general admission theater seating. Check out our Facebook event for more updates!